Alton, Va. (17 August 2017) – With just three races remaining on the 2017 IMSA Porsche GT3 Cup Challenge USA by Yokohama calendar, Kelly-Moss Road and Race continues to lead the championship as the team travels to Virginia International Raceway (VIR) this weekend. Jake Eidson, who competes full-time in the series for the first time this year, has had a standout season. He’s won four times and has scored a podium result in every single race. Those results have seen Eidson at the top of championship standings all season long. He currently has 191 points – 34 points ahead of second. When asked to recall the highlights of racing at VIR, one memory is at the top of Eidson’s list. 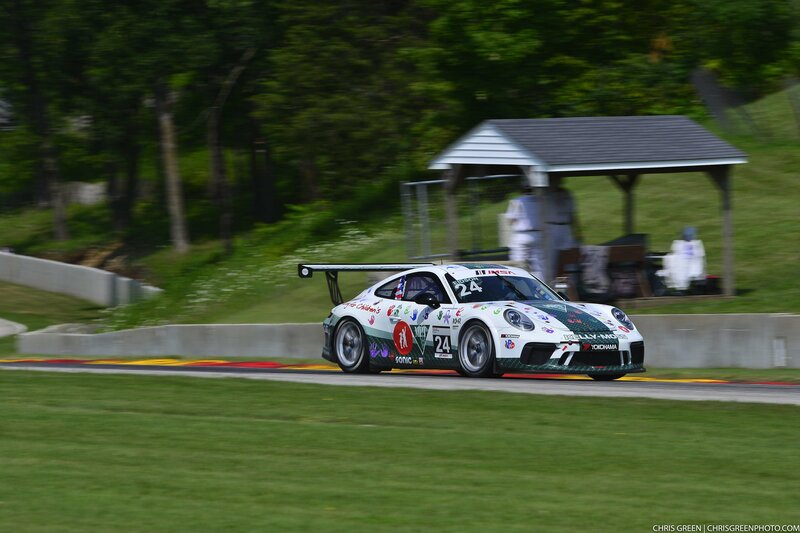 Kelly-Moss Road and Race is the defending winner of the Porsche GT3 Cup Challenge event at VIR. Last year, KMR driver Jesse Lazare scored back to back victories in the double-header event. Also competing under the KMR banner is Kurt Fazekas and Greg Palmer in the Gold category. 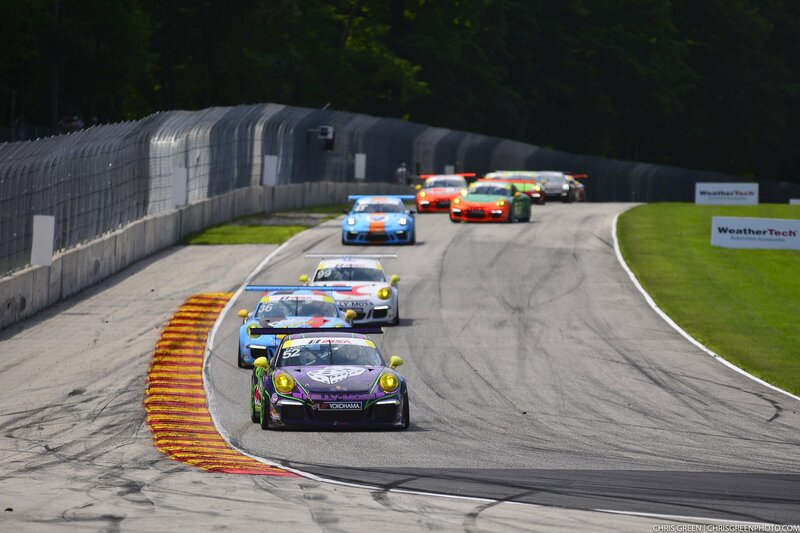 Fazekas looks to follow up a stellar weekend in the previous event of Road America in which he broke through for his first win of the season in Race 1. He followed that up with a fourth place finish in Race 2. 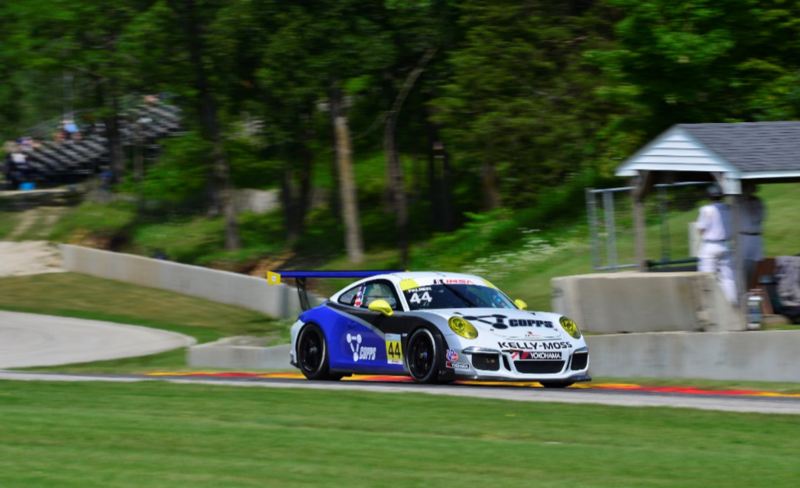 Palmer, who is in his first year of IMSA Porsche GT3 Cup competition, has continually improved throughout the year as he visits several new circuits on the calendar. His back-to-back races at Road America saw him finish sixth in each race which marked his best IMSA outing so far this year. The weekend opens with two practice sessions on Friday, followed by qualifying and Race 1 on Saturday with Race 2 on Sunday. Both races can be viewed at www.imsa.tv.